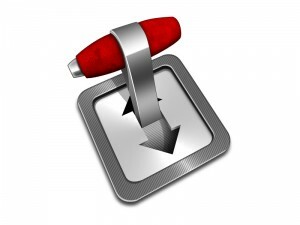 Transmission is a tool to download files using torrent service. Transmission-daemon is basically the same, but without user interface. We install it in always-on server (like Raspberry Pi), then access it from different computers. This guide assumes you already have Raspbian OS installed in your Raspberry Pi with LAN setting properly established. My Raspbian image file is dated 9 Feb 2013. Different version of Raspbian might produce different behavior. If you’re installation is not the latest version, it might take a while as Raspbian will download the latest files from Internet. You shall see many setting lines. Feel free to explore those settings one by one, but for now let’s focus only on few important settings to get started. 1. Find rpc-username and rpc-password, change the values. This is supposed to be different from your Raspbian username. 3. Find download-dir and change it into /home/pi/completed or whatever the name of the folder you have prepared before. 4. Find incomplete-dir and change it into /home/pi/progress or whatever the name of the folder you have prepared before. 5. Find watch-dir and change it into /home/pi/torrentwatch or whatever the name of the folder you have prepared before. Transmission-daemon saves configuration file when it closes. So using restart parameter instead of reload will get the previous settings revert back. If you change the password, then type sudo service transmission-daemon reload followed by sudo service transmission-daemon restart. Now you need to know the IP address of your Raspberry Pi. Of course, you should adjust the lines according to your network settings. All done. You might want to restart your Raspberry Pi, then try the connection from another machine. You will be asked username and password, which you need to answer with the value of rpc-username and rpc-password. After a couple of days stumbling around with other instructions trying to get transmission to work I stumbled upon this and it’s got it up and running, no problem. Thank you very much for taking the time to share your skills with the world, you have solved my headaches (which were largely permission problems I think). Removing watch dir from setting solves the problem and transmission starts. Any ideas how to resolve this problem, I’d really like to be able to use watch dir function. will this method work on new raspbian jessie ? I set all the permission preferences but I still can’t seem to get it to work. I surprise how a lot effort you set to make any such magnificent informative web site. thanks guys, it all works perfectly well. Hi Robert and thanks for this post. I´ve installed transmission and transmission-daemon before find you post but I have a question. When I installed the daemon I never can start the web-interface, only when I set the daemon user as root. Then I follow your instructions about permissions but still the same problem. If I use the pi user daemon start but web-interface no. Do you have any idea where could be the problem? Got it up and running on my Rpi too. otherwise, the torrentwatch function won’t work. It’s very frustrating!!! if you have problem using “http://192.168.1.8:9091/transmission/” to get access transmission via web gui, please use “http://192.168.1.8:9091/transmission/web/” to access it. Thanks very much for the post, worked well and i’m up and running here. to my settings.json at the bottom.. it wasn’t already there. seems to work ok. I also had to make sure the daemon was stopped while editing the settings. I tried your method 2-3 times and the file kept getting overwritten so i’m not sure why that is (Your explanation and logic of the overwriting isn’t lost on me, it just seems to keep happening unless the service is stopped). For what it’s worth at the end I can also browse http://raspberrypi:9091 from my desktop as a shorter way to access transmission. just another way to accomplish the same.